CKS Look: cardigan, T-shirt and trousers baby girls in red and lilac. 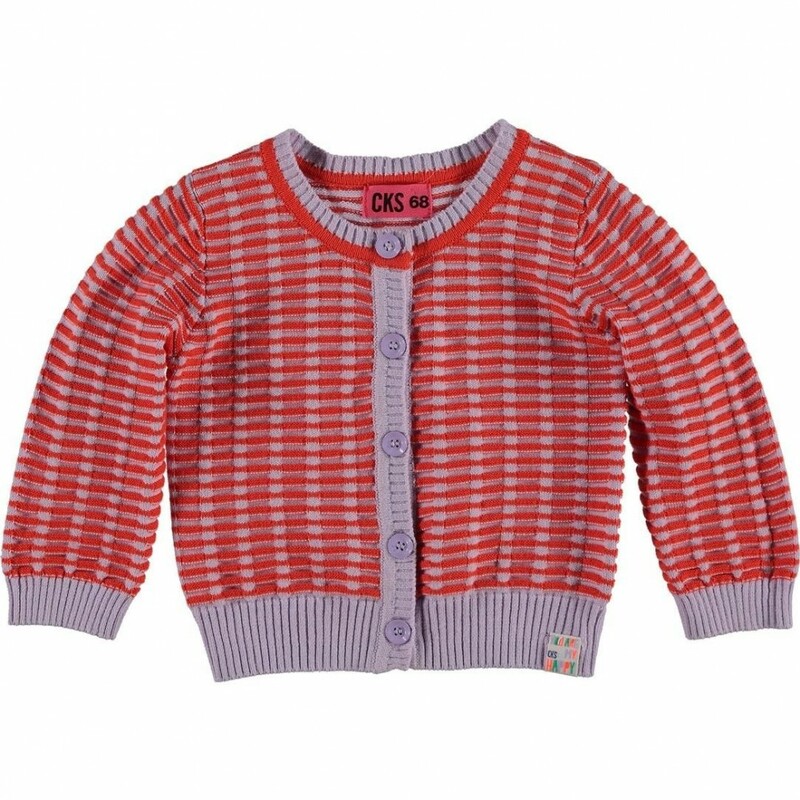 CKS Cardigan baby girl red and lilac. Cardigan in relief woven cotton with long sleeves and round neck. 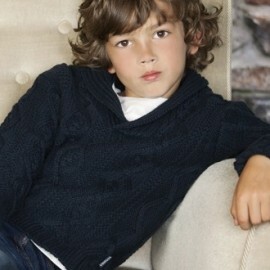 Fastening with buttons. Color: red / lilac. Fabric: 100% cotton. 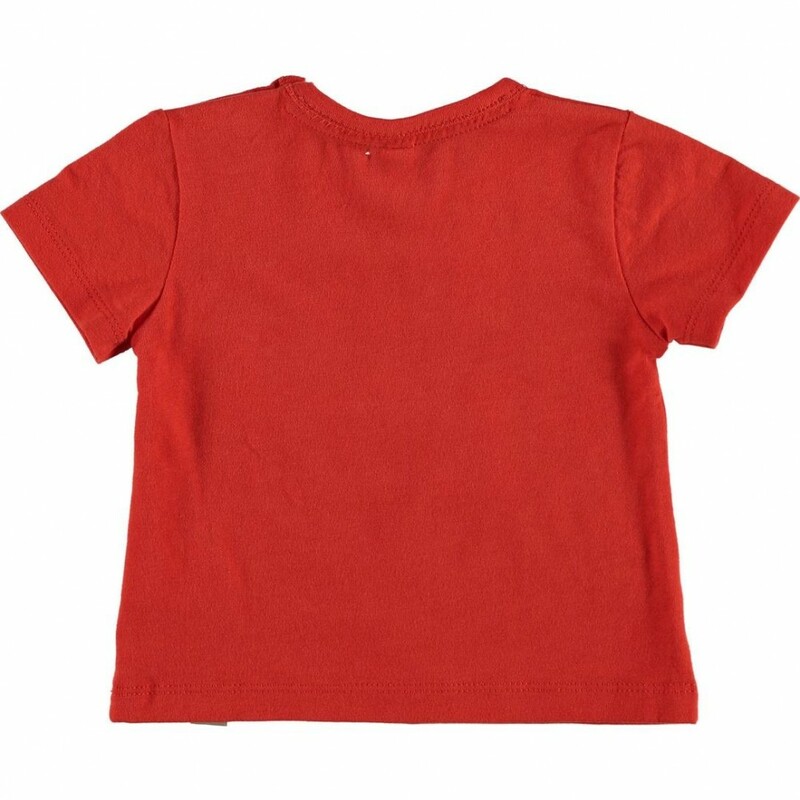 CKS T-shirt short-sleeved baby girl red. 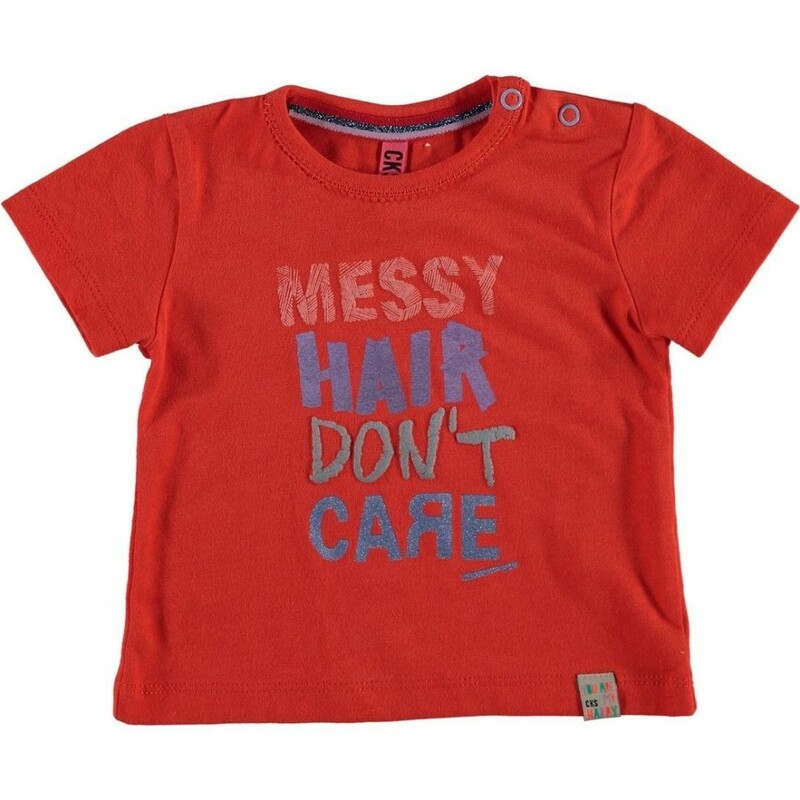 T-shirt in soft tricot with short sleeves and round neck, fastening with two press buttons at the left shoulder. Multicolor print on the front. 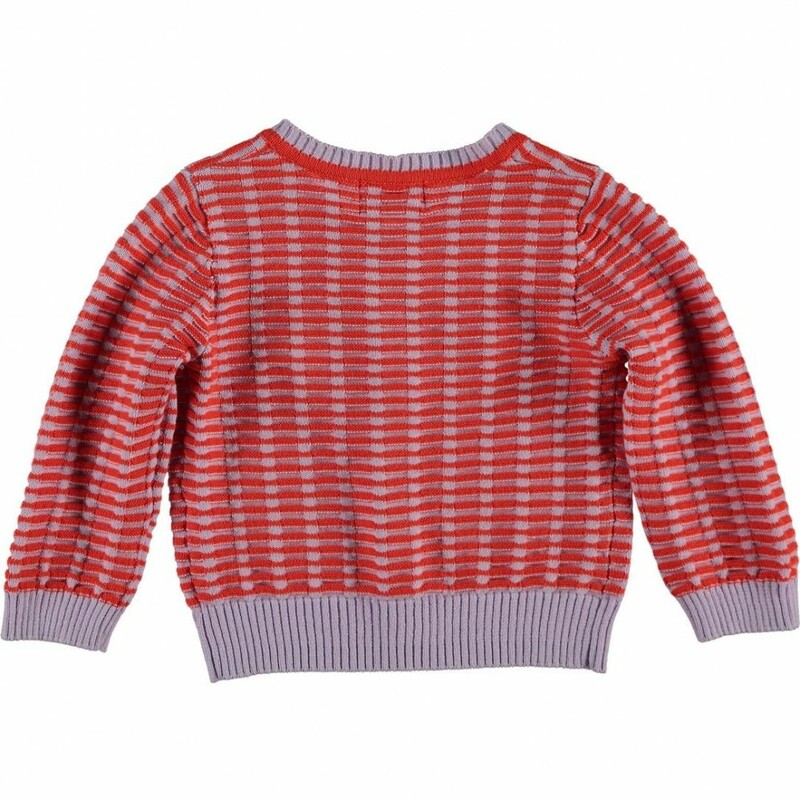 Color: red / multicolor print. Fabric: 95% cotton, 5% elastane. 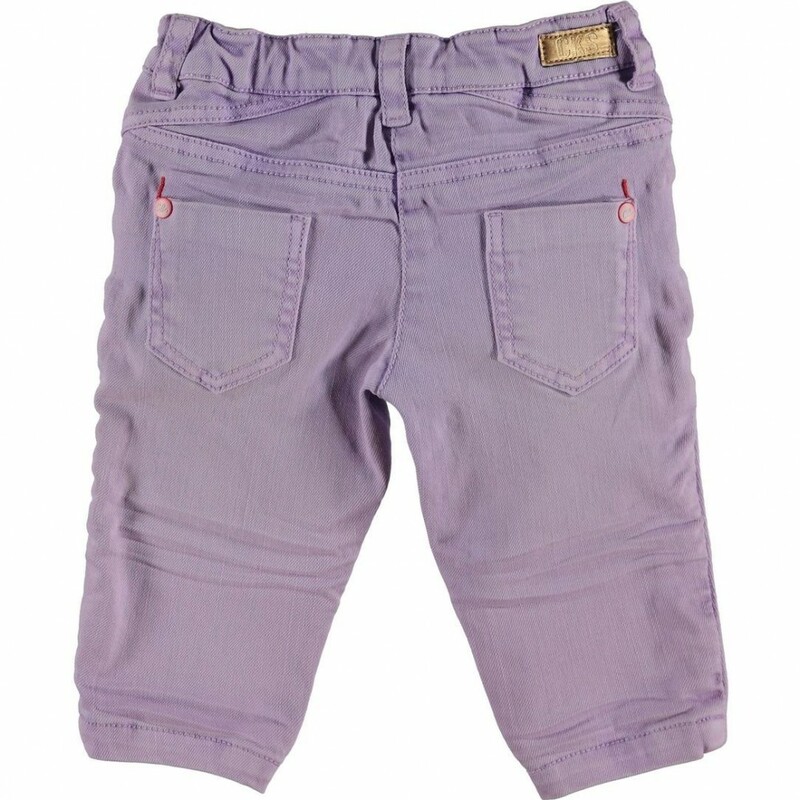 CKS Trousers baby girl lilac. 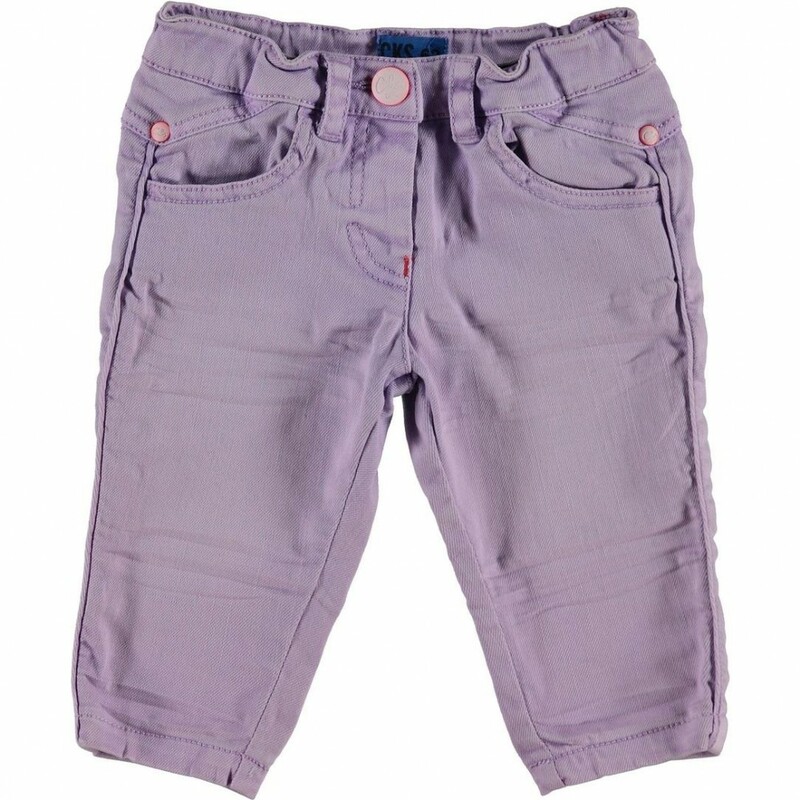 Trousers with adjustable elasticized waistband on the inside, fastening with invisible clasp and decorative button, no zipper. Four pockets and piping along the outside leg seam. Color: lilac. Fabric: 98% cotton, 2% elastane.